Harvard professors at the Medical School and School of Public Health investigate an often-overlooked area of health research: whether incorporating spirituality into patient care and public health affects health outcomes — for patients and care providers alike. The body of research connecting religious and spiritual practices to health outcomes shows, by and large, positive correlations. Past research indicates that patients who practice forms of religion or spirituality are more likely to demonstrate greater resiliency and less stress, among other health benefits. But what happens when, for example, devout religious individuals reach the end of life? There, the picture can be less sanguine. 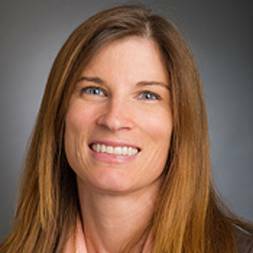 In a 2013 paper, a team led by Dr. Tracy Balboni, an associate professor of radiation oncology at Harvard Medical School, showed that people with high levels of religious support in their lives were more likely to die in intensive care units, rather than receive hospice care. Now, the team is exploring the issue further. With a $2.1 million grant from the John Templeton Foundation, Balboni and her team continue to oversee three projects aimed at the complex relationship between religious belief and health: First, they’ll measure whether care oriented around a patient’s spiritual well-being improves the health of those caring for them. Next, they’ll examine how religious and spiritual attitudes affect end-of-life care for patients. And, finally, the team will create a symposium at Harvard University to facilitate ongoing research and discussion of the connection between religious belief and health across disciplines. Research indicates that providing care informed by patients’ own spiritual practices not only benefits patients, but also practitioners. Two researchers with the Harvard T.H. Chan School of Public Health, Jorge Chavarro and Tyler VanderWeele, will test how religious- and spiritual-based participation and treatments affect health care practitioners. 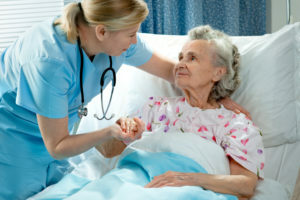 The research involves incorporating measures of religion into the “Nurses Health Study 3,” an existing study of 39,000 nurses that tracks outcomes over several years, and to the larger 122,000-participant “Nurses Health Study 1,” which is being used by Dr. VanderWeele to explore how nurses’ own religious practices affect their health. Balboni posits that when healthcare providers see patients in “a whole way,” this not only improves patient outcomes, but also provider well-being. The team will further examine how to incorporate better religious and spiritual care into end-of-life situations to reduce ICU admissions and to alleviate traumatic death experiences, a solution that holds value for more than just the patients. The grant will also help begin to institutionalize ongoing research and scholarship on spirituality and health. Balboni’s team will oversee the creation of the Initiative on Health, Religion and Spirituality at Harvard University, which aims to continue to map the connections between religion, spirituality and public health, and to advocate for more research in the field. The project also supports a Harvard Lecture Series advancing health, religion, and spirituality, which organizes seminars each year and engages the academic health community on new issues and research from public health to the end of life. Taken together, Dr. Balboni sees the three projects as a concerted effort to incorporate a new way of thinking into a field notorious for a glacial pace of change.